Home / Computers/technology / News / Have You Seen This Humanoid Robot With Wings? Caltech has designed a new humanoid robot with wings. The company takes inspiration from nature for their latest invention, which is a humanoid robot with thrusters attached to its torso. The humanoid robot is known as Leonardo (LEg ON Aerial Robotic DrOne) and the robot is just like every other bipedal robot except it has the ability to fly – or at least it will try. The humanoid robot, Leonardo, weighs just 2.75 kilograms, which is light enough that the thrusters mounted on either side of its torso can lift the entire robot off the ground. Leonardo isn't really designed to be a flying robot with legs, those thrusters are primarily used to enhance what Leonardo's legs will be able to do. The thrusters help the robot to tackle a significant problem when it comes to bipedal robots. Instead of wobbling to correct itself, the bipedal can switch on the thrusters to become a drone on legs. If the robot needs to get up a hill, instead of walking, it could just glide. Led by co-developer Morteza Gharib, researchers at Caltech are still experimenting with Leonardo, as you can see from the video below. As WIRED reports, Caltech has been collaborating with NASA on a helicopter design for Mars, which could bypass difficult terrain and scoot around more quickly than a wheeled rover. 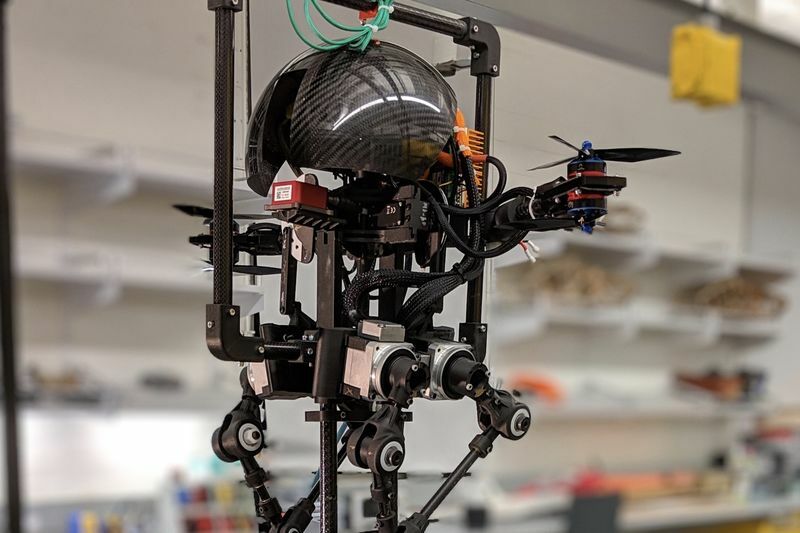 Gharib and his colleagues are exploring how a robot like Leonardo might navigate the rough Martian landscape more efficiently than a traditional helicopter by putting its feet on the ground and lightly powering up the thrusters. Have a look at the video below to see the humanoid robot in action!